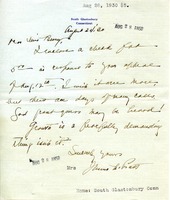 Dr. Proctor sends a $6 check from Miss Frances Wilson which he mistakenly omitted from his letter to Martha Berry. 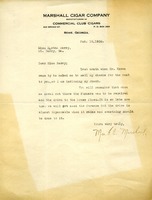 He also requests addresses for Miss Foster, Miss Warden, and Mr Greene. 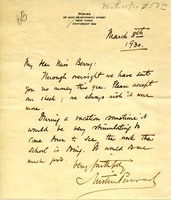 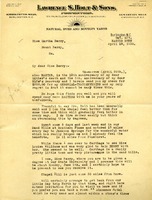 Margaret Prince writes to Martha Berry to notify her of an enclosed check for a purchase of bags made in December. 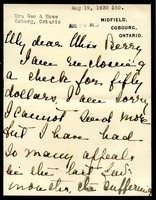 Mr. Perkins is asking after a check Miss Berry said she would send him in a few days. 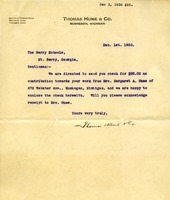 Letter to the Berry Schools from Thomas Hume & Co.
Thomas Hume & Co. sends a check for $25 to The Berry Schools as instructed by Mrs. Margaret A. Hume and asks that they send a receipt to her. 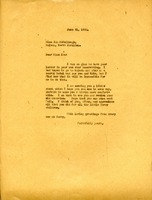 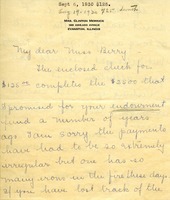 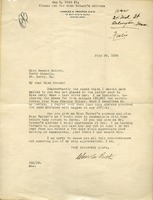 Edith Howe writes to Martha Berry, enclosing a check for fifty dollars. 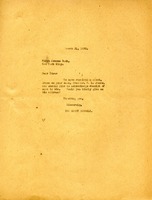 She also sends her regrets that she cannot send more because of all the appeals that have been sent to her as of late. 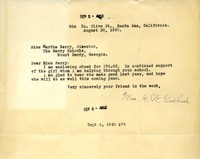 "[T]he suffering every where is so great," she says. 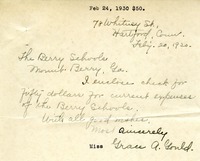 Mrs. Guthrie sends her donation to a young girl in Berry. 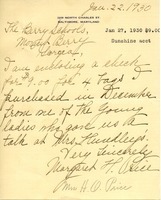 Gould donates a check for the school's current expenses..